This was rare. Sitting in my chair, unbidden e-mail receipts exalting this or the other product are outright legion. True, you fully expect the sender to be excited about his or her stuff. But you can be in the biz only so long until you get rather impervious to the charms of hyperbole and being assaulted by the latest techno breakthrough of the week (unbeknownst to the sender who has Damascene encounters only once in a lifetime, publishers of audio magazines are being hipped to paradigm shifts a few times every month come rain or whine). Alas, to get two e-mails in the same week each praising the same product; and the praisors being manufacturers but not the ones making the device; and one of these praisors actually helping the actual maker to establish US representation just so one's own dealers will enjoy convenient access to those goods - well, this gob smacked of downright antibole. Salve for the soul. to such matters, it took Gary Koh of Genesis Loudspeakers to say the same thing -- and press the cause by becoming the US importer for the entire IsoTek line -- until I realized that providence was at work. 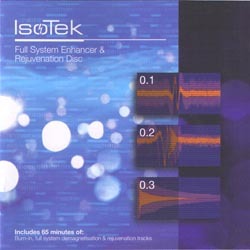 Both men stated categorically that 24 hours of play with IsoTek's break-in CD equaled a few hundred hours of music play. 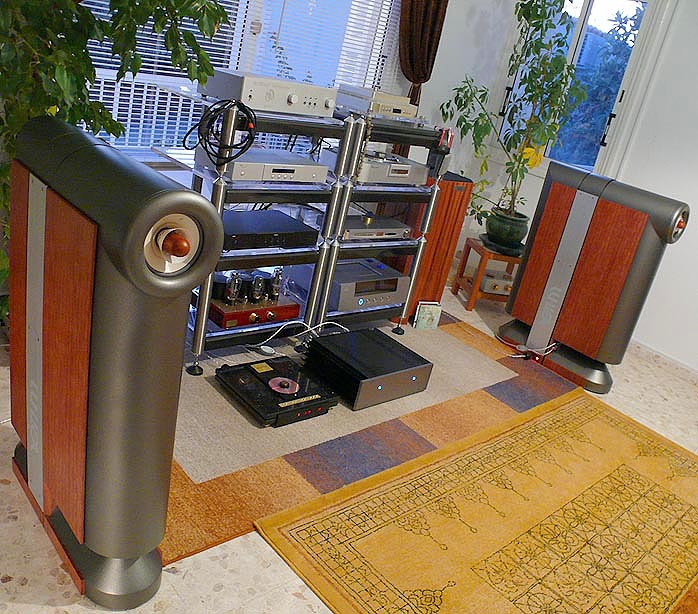 With Gary being nearly exclusively in the speaker biz and Mark having recently added two models to his Esoteric roster, both have reason to dread reviewer, dealer and end user feedback to insufficiently conditioned loudspeakers. If there was a quick solution to get their wares to shine, these gents would be all over it even if Lucifer himself manufactured it. I didn't even have to contact IsoTek, UK maker of celebrated powerline products. Gary Koh could dispatch their Full System Enhancer & Rejuvenation Disc from personal distributor inventory the very next day. I may be hard of hearing but this message was impossible to miss. Besides Mark's Magnesium-drivered speakers, I had something rather infamous for endless break-in in residence: Lowthers. If this disc worked as claimed, the DX55s would most certainly let me know in no uncertain terms. Granted, break-in CDs are nothing new. Cardas, Ayre and Purist sell their own and Gryphon has a related solution. There are even cable cookers. However, some feel that the latter's intense signals can actually 'overcook' cables to net undesirable sonic side effects. This has led some cable manufacturers to stress not to use such break-in devices but "just play music". Here's the thing though. Subtle or major improvements up to 1000 hours are promised for anything from V-Caps to Palladium cables, amps, speakers - anything really audiophiles put in their chains. At two hours of quality listening a day, that's well in bloody excess of a whole year. Good grief, whose patience has such saintly virtue? If yours doesn't, IsoTek to the rescue. Their CD consists of 3 tracks, the first two 30 minutes long each, the third a 5-minute job intended as a refresher if your system was off duty for a few days but previously treated fully. Each track wraps up with demagnetizing signals. The difference between tracks 2 and 1 are more powerful LF clicks for the former. If you don't mind white noise, sweeps, ultrasonic chirping and various click noises, you need not be in a different room to run this CD. Nor does IsoTek claim any enhanced efficacy from thunderous playback for their break-in and rejuvenating disc. Just put it or a select track on endless repeat at normal volumes to whip a new component into shape for as long as you deem it necessary. There you are. Or, get your entire system in ship shape with a quickie makeover. I now run the disc at night on new components. Come daylight, I play real music. What a concept. Does it work? To be mean to Rethm's stone-cold-outa-the-boxes Saadhanas, I leashed them up to a FirstWatt F3 driven direct from Ancient Audio's Lektor Prime CD player. No active preamp, no power triodes, brand-new Lowthers - if ever there was a recipe for leanness and thus, dire need for body, warmth and harmonic development, this what it. Two nocturnal sessions later, the DX55s already sang without asking for an extra injection of thermionic glow. Those familiar with these drivers will appreciate that nothing else needs saying to proclaim the IsoTek disc a complete success. There's no way to know how many tedious hours of suboptimal music playback are saved, exactly, by spinning the IsoTek disc. Seeing that two speaker manufacturers use it in lieu of a few hundred hours of non-stop music spinning; and seeing that my virgin Lowthers act like normal rather than heroin-haggard drivers 24 hours after the fact - I think it's safe to say that the acceleration factor of break-in with this disc is intense. And despite its name, Esoteric as a company is a rather engineering-driven outfit. To see them endorse this disc on their own website is quite telling then. 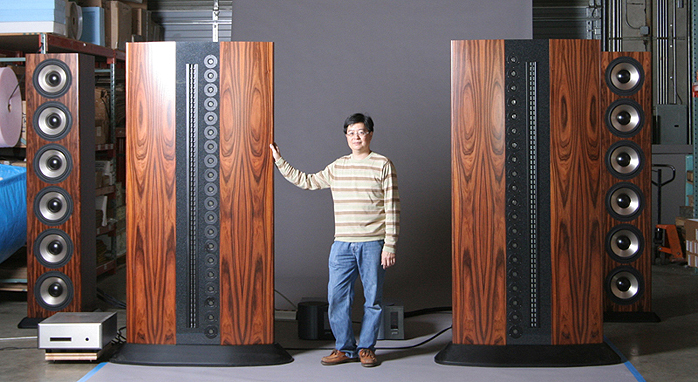 As is the fact that IsoTek USA's address is in Seattle just as is Genesis Loudspeakers'. Gary Koh with a - um, few drivers needing break-in once delivered to their new owner.